People born from 22nd December to 20th January, are born under the tenth sign of the zodiac system, the Capricorn. They tend to be ambitious and practical people, who like structure, organization and tradition. This zodiac sign is symbolized by the Mountain Goat. They have their feet firmly on the ground, and in the same time they have their eyes set high on the summit. Being successful is extremely important for them and they always get where they want to be. Here’s a little insight to why Capricorn is the best zodiac sign. The ruling planet of Capricorn is the planet Saturn. The greatest influence of Saturn is that it brings rewards to people who work hard to achieve their goals. Capricorns are gifted with a huge amount of determination. They get where they want to be, even if it means lots of effort, continuously over a longer period of time. Capricorns have power to achieve anything they set their minds to. Capricorn is not shy but rather introvert and calm. They are level-headed and very patient. Capricorn might come across for some, as cold individuals, but in fact they just like to take their time to commit. Once they’ve decided you’re worth it, you have a friend or a partner for life. They prefer to have a few close friends as opposed to a large group of friends. Capricorns are dedicated to their work and they always strive for success but they never brag about their achievements. They don’t like to show off how much money they have, they rather let their accomplishments speak for themselves. When they go out to celebrate, they prefer to simply enjoy their time and good company without being in the limelight. Being an earth-sign it’s no surprise that Capricorn people stand with two feet on the ground. Capricorns are logical, analytical and well-organized. If you are stuck and need a good advice, ask your Capricorn friend! With their practical, problem solving nature they can easily assess a situation and give you a useful advice. You can rest assured that they will find the best solution to every problem that appears. Capricorns take commitments seriously so they are some of the most faithful and loyal lovers in all of the zodiac. 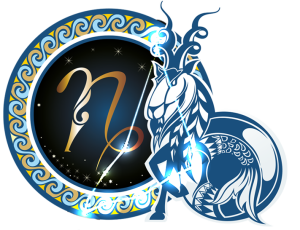 You can be sure that a Capricorn partner will not just give up at the first sight of problem, he or she will fight through the tough times of a relationship. Also as a friend, a Capricorn is someone you can rely on and he or she will be a true lifelong friend. Capricorn-born know that only hard work brings success and they stay focused and keep pushing forward even when others get bored and drop out. With their disciplined character, patience and will-power there is nothing they can’t achieve. They are hard workers and committed to the core. For a Capricorn there is nothing more important in life than family and a few friends that are like family for them. They are very caring, sympathetic and protective towards this circle of people. They are always there to help and they never expect anything in return. Capricorn respects family traditions and loves spending holidays with the close ones. Capricorn has a strong opinion about everything and it often needs to come out. They are honest and always tell the truth and with their polite nature they rarely hurt someone’s feelings. They expect the same honesty from their friends so make sure you are always straightforward with them. Capricorn doesn’t like playing games. Capricorn has a legendary patience and this a a great gift. They don’t just leave a project when they get bored with it. With their perseverance, they keep going until they reach their goal. It doesn’t matter for them if it takes a while to learn something, Capricorns will wait without a fuss. Capricorns are some of the most patient people you will ever meet. Capricorn people are down-to-earth and practical. They prefer doing things in a sensible way, rather than focusing on intuitions and imagination. They have a grounded nature and have their emotions under control. With the use of their incisive logical reasoning they easily find their ways about in the world.